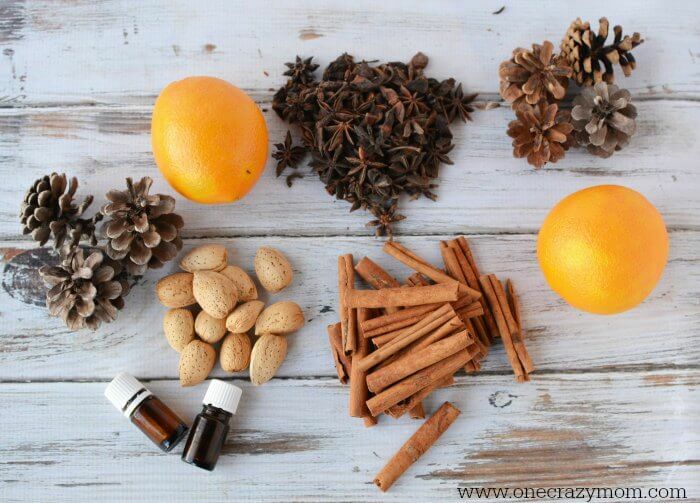 The cinnamon, oranges and spices combine for the perfect Christmas scent. You are going to love how festive this potpourri is. With only a few ingredients needed, this potpourri comes together very quickly. 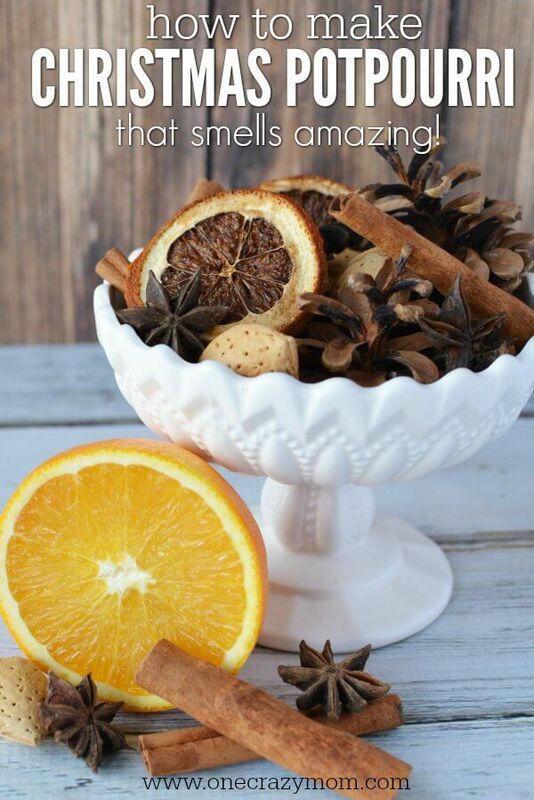 The potpourri will fill your house with the wonderful aroma of Christmas. 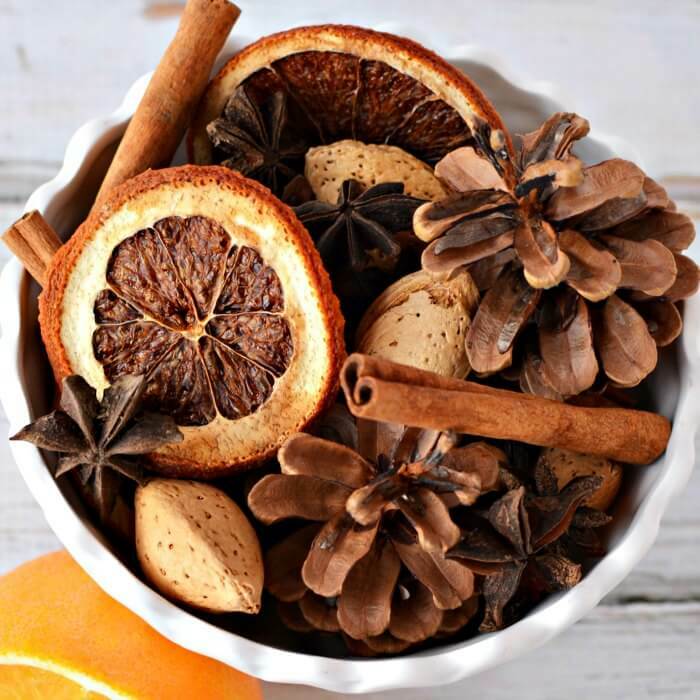 Your house smells so good with this holiday potpourri sitting out. You can also mix with water in a slow cooker for a wonderful smell that lasts for hours. Another idea is to use this potpourri recipe for stovetop potpourri if you prefer that over the slow cooker. Either way is fine or you can just sit it out. 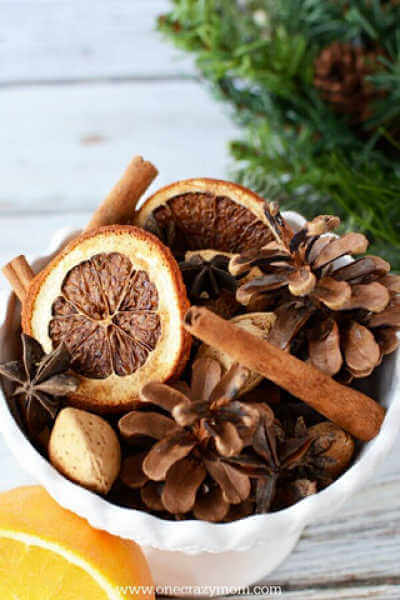 Homemade potpourri is so versatile that it is a great idea this holiday season however you plan to use it. We love homemade Christmas gifts and everyone seems to really enjoy receiving them. Homemade Potpourri Gifts are so thoughtful! There are so many wonderful ideas for this potpourri. One of my favorites is to hand this out as gifts. It truly is the perfect gift idea when you can’t spend a ton of money or time but need a gift everyone will love. Homemade Christmas potpourri is also a wonderful hostess gift. I know it is not necessary but I love taking just a little something for the hostess when we are invited to someone’s home. I think it is a nice touch and just a nice way to show a little kindness. Mason jar potpourri is my favorite way to package these gifts. You can pick up a case of mason jars pretty inexpensively and it looks so cute to put the potpourri in. I also like to order gift tags for the jars and this set includes the string! It looks so festive and makes for a great gift for very little money. 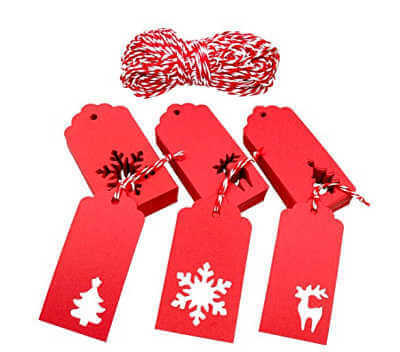 The gift tags are also great to use for other gifts and such or you could use a free printable. We are always making something so the gift tags definitely get put to good use around here. Another idea is to use medium size cellophane bags tied with pretty ribbon if you don’t want to use the mason jars. Both ideas will work great for the potpourri and you can use the gift tags with either the bags or jars. I can’t wait for you to try Christmas potpourri in a jar! The pine cones and nuts make this potpourri look so festive and gorgeous. You will want to keep some for yourself because it’s so pretty and smells amazing. I like to sit out a bowl when guests are coming over and the entire house smells so good. It will smell amazing when guests come inside! It’s very simple to make your own DIY Christmas Potpourri Gift and much cheaper than buying in a store! Everyone will love this gift that they can enjoy all season long. If you have trouble finding the Dried Star Aniseed , try Amazon. I ordered mine online and it was a good deal. Also, we love to add essential oils to the potpourri but that is optional. I think it makes the scent stronger and we just love essential oils in our family. How do you make homemade potpourri? It is so simple and easy to make your own potpourri. Skip the expensive store bought version and make homemade potpourri. You know exactly what is inside and no worries about chemicals or other ingredients. We love making our own potpourri and it smells heavenly! Let’s learn how to make potpourri! 1. 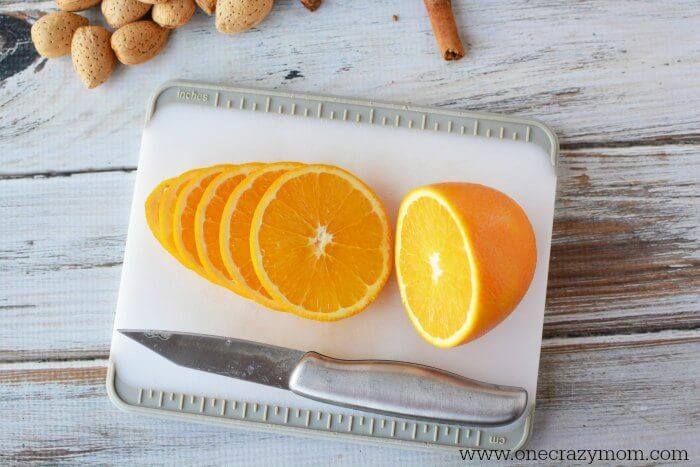 Slice oranges 1/4″ thick and place onto a cooking rack. 2. Place in the oven and turn on the heat to 225 degrees. Once oven is pre-heated check the oranges. 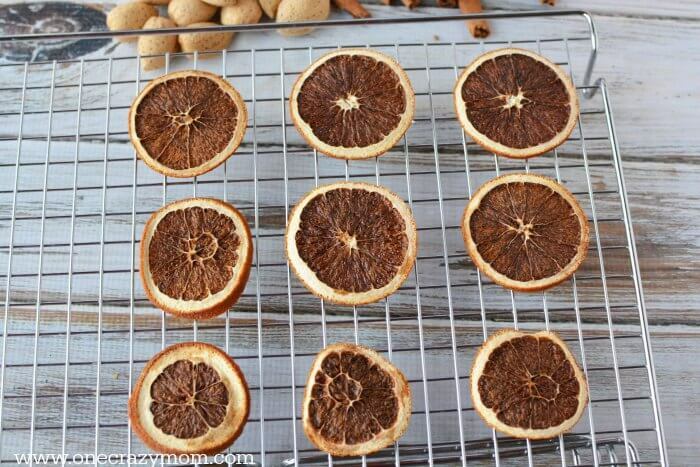 This drying should take about 2-3 hours and you’ll need to check on the oranges every 45 minutes. You want them dry so they don’t mold. 4. 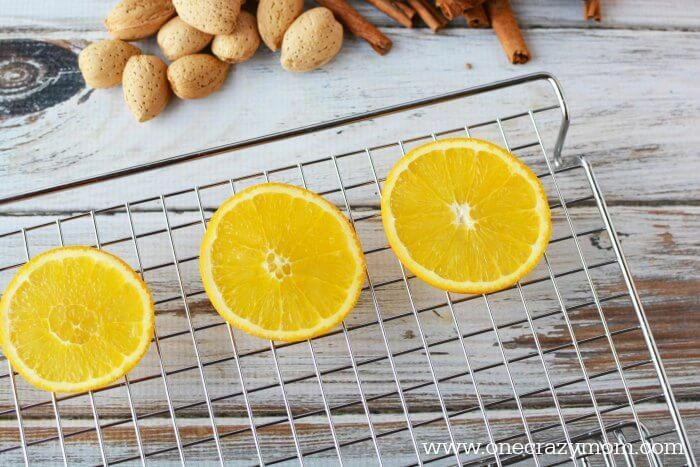 Combine cinnamon sticks, orange slices, aniseed, pine cones and almonds in a large bowl. Mix well. I do this with my hands. 5. Place a small amount of potpourri into a bowl. Add essential oil to a cotton ball and place in the center of the bowl. Top with more potpourri to cover the cotton ball. Store any additional potpourri in a resealable bag to use later. You can add additional essential oil as desired to refreshen the smell. This lasts quite a while and using essential oils to freshen the scent is a great trick to keeping the wonderful scent going even longer. 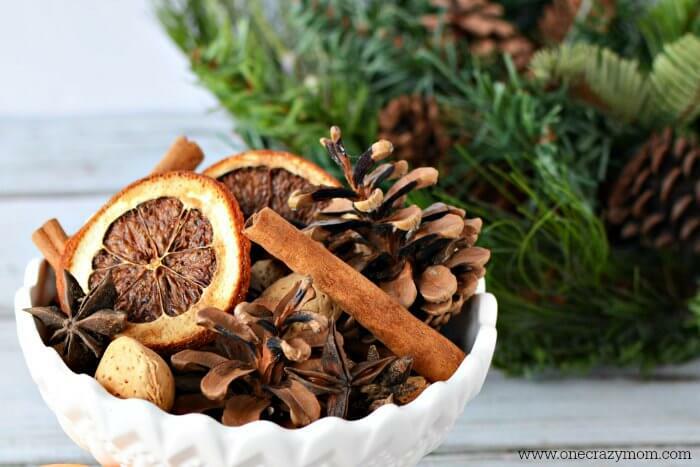 This Cinnamon Potpourri smells amazing and will linger throughout your entire house! It just smells like Christmas! And don’t wait for guests to arrive to use this. Put out a bowl for your family to enjoy or even just yourself. There is just something about fragrances that remind us about special days. Turn the tree lights on and watch them glisten as you take in the wonderful Christmas aroma. Some of the best memories are made with the simple things in life. There isn’t anything better than sitting by the Christmas tree, listening to Christmas music and smelling the wonderful scent of Christmas potpourri drifting through the house. Christmas potpourri recipes gifts are so thoughtful during the holiday season. 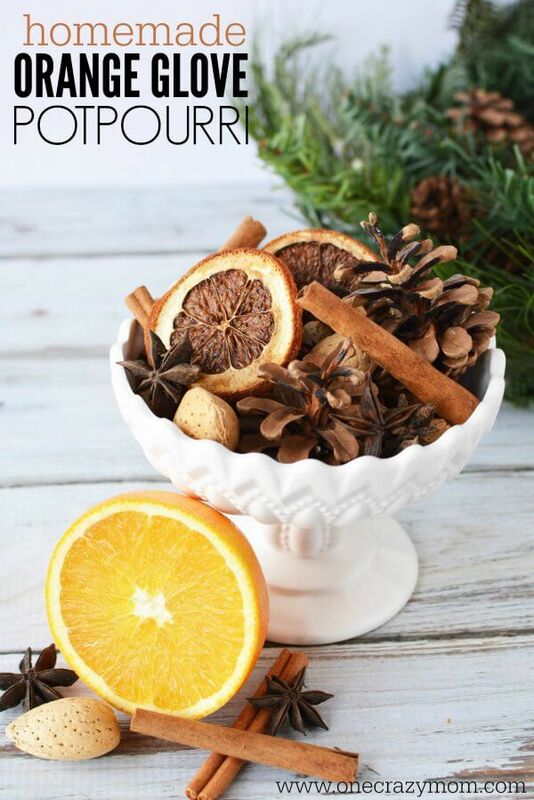 Now that you know how to make Christmas Potpourri, it is so simple to do! We really enjoy making things at home for gifts and to use. Not only is it practical and saves money but we know exactly what is going in these products. I feel much better using these and giving them as gifts knowing what all was used. It is perfect to use at home and also to hand out as gifts. Try making a few new things this year and you will be surprised just how easy it is. Plus, you will have new gift ideas too! Sometimes, I like to put together gift baskets with different products that will make someone feel special.